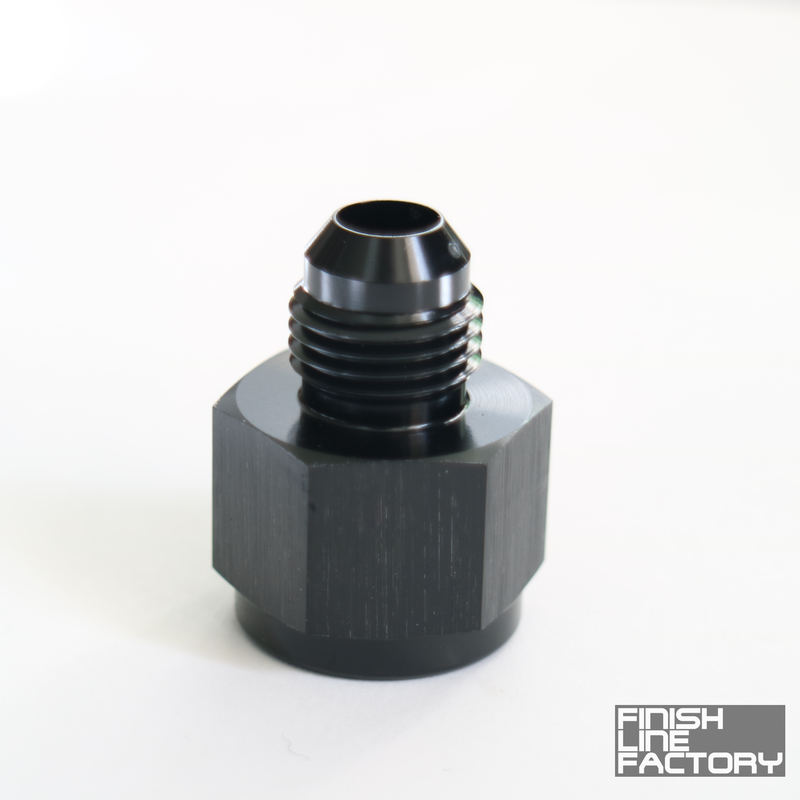 Need to adapt a metric bung to use an AN fitting on it? 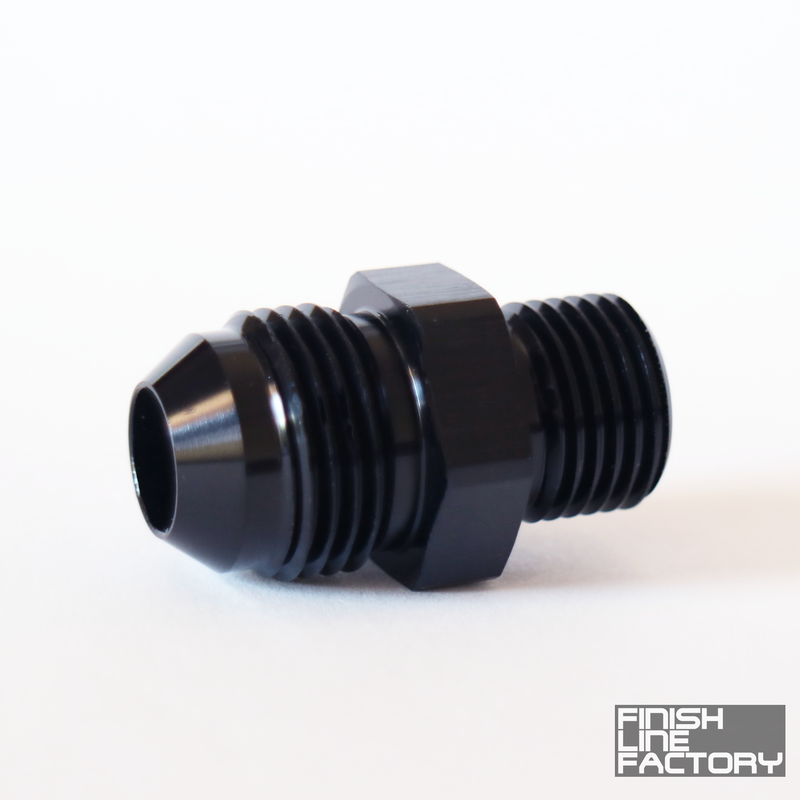 We’ve got you covered with the Finish Line Factory Metric to AN Adapter. 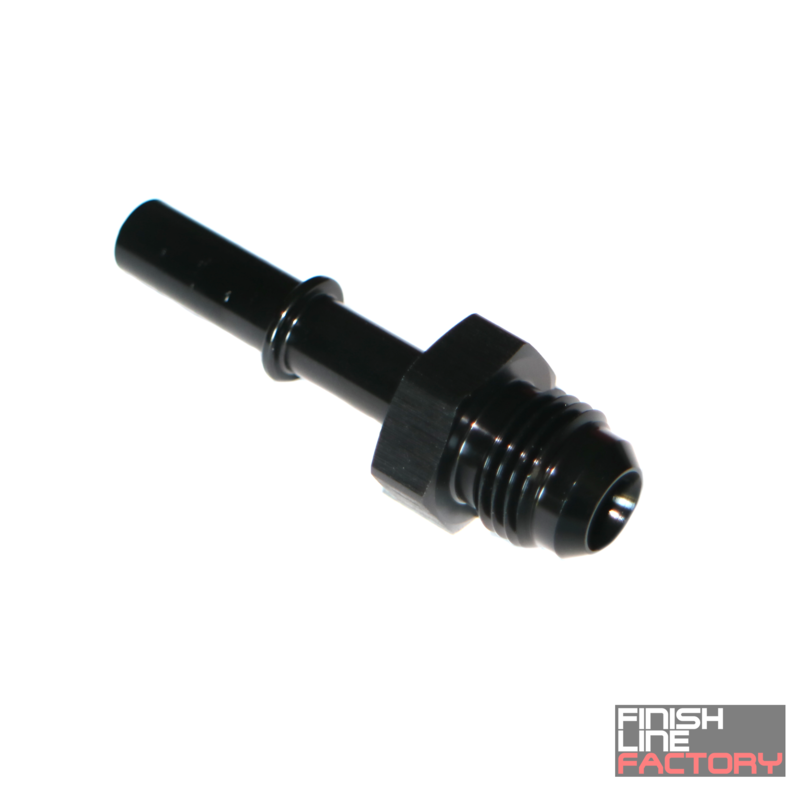 CNC’d from billet 6061 Aluminum, these are made to last with strong threads and precise machining. 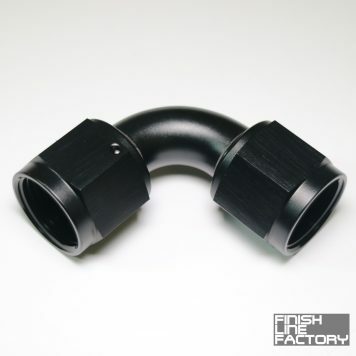 These are PERFECT for adapting OEM Banjo connections to use AN fittings!